The Kohinoor diamond is one of the largest diamonds in the world and certainly one of the most famous diamonds. Currently it is part of the crown jewels of England. 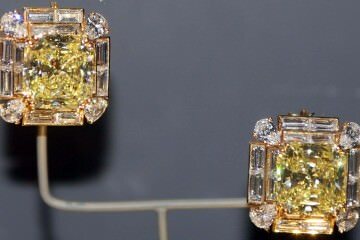 Ending what is perhaps the bloodiest history of any gemstone. The early history of the Kohinoor diamond is shrouded in mystery, it’s only known that it was found in the Kollur region of Hindu Kakatiya Kingdom. 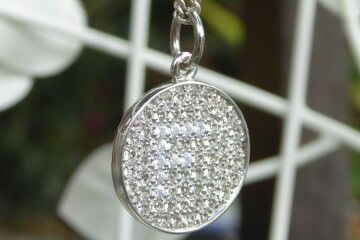 This was the only region where diamonds had been found until 1730 when a deposit was found in Brazil. Some sources claim that the diamond is over 5000 years old and was known under the name of Syamantaka. In 1323 the Kohinoor changed hands by force for the first (documented) time. Ulugh Khan defeated the Kakatiya Kingdom and the diamond was taken as part of the spoils of war. Many different rulers possessed the stone until Babur, who was the first Mughal emperor, took control of it. This was the first time the diamond was mentioned by an identifiable name. 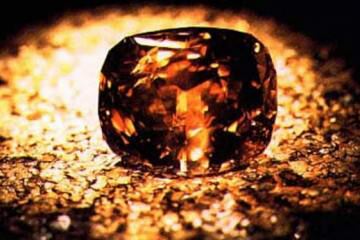 Though there is some debate over whether this stone is actually the Kohinoor or that it was a different diamond. 1739 was the year in which the Kohinoor came into the hands of the Persian Nader Shah. Legend has it that he exclaimed ‘Koh-i-Noor’ which means ‘Mountain of Light’ when he saw the diamond for the first time. There is no mention of the name before this time, so it is a possibility though likely somewhat embellished. In 1849 the British Empire ordered the Kohinoor to be presented to the Queen of England by the Maharaja of Lahore after proclaiming Lahore part of the British Empire. In 1850 Duleep Singh presented the diamond to Queen Victoria, the last time the Kohinoor was transferred as a spoil of war. In 1852 the Kohinoor was re-cut to its current size of 105.6 carats from its old weight of just over 186 carats. Despite spending nearly 8000 pounds on the recut and the stone losing over 40% of its weight, Prince Albert, who oversaw the operation, was not satisfied with the result. In almost a thousand years there has been no mention of the Kohinoor diamond ever being sold. It has always changed hands as a spoil of war, through treachery or given away in exchange for favors. How Much is the Kohinoor Diamond Worth? 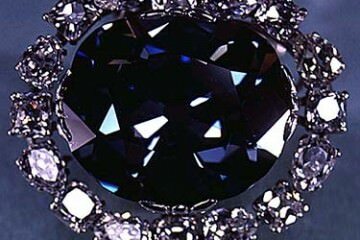 Because it has never been sold it is almost impossible to determine the Kohinoor diamond value. The color, clarity, size and tumultuous history make it virtually priceless. The diamond is currently the most important part of the Queen Mother’s Crown, which has been valued at more than $20 billion. Admittedly that was by the owners themselves, the royal family. It is highly unlikely however that this gemstone will ever be sold and certainly not at a price remotely near the $20 billion mentioned. 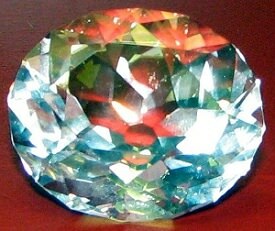 India has claimed ownership of the diamond, saying that the Kohinoor has been taken illegally and should be returned. Several other countries have laid claim to it as well, Iran (former Persia), Afghanistan and Pakistan. Of these countries the claim of India appears the most legitimate because not only was it mined in India, it was last owned by India and there is some controversy about the way it was obtained as well. However it is not likely that it will ever be returned, because it is now considered part of the British heritage. Handing over the diamond will likely cause a large number of other claims to be made as well, which is something they would like to avoid. The Kohinoor diamond can be viewed in the Tower of London, as part of a display of the Royal Collection, which includes the Crown Jewels. If you ever visit London, the Tower of London exhibition is something you should not miss. Kohinoor was the most glorious possession of our country, it should brought to INDIA by hooks or crooks!